it cannot be delivered by courier. Our Premium Grade 14/15% Liquid Chlorine is up to 40% stronger (and thus more effective) than alternatives stocked by some of our rivals! Make sure you check the % strength when comparing! This chlorine donor may be used for routine control of bacteria and algae in swimming pools. It may also be used for shock or oxidising as and when required due to it`s relative rapid reactivity. 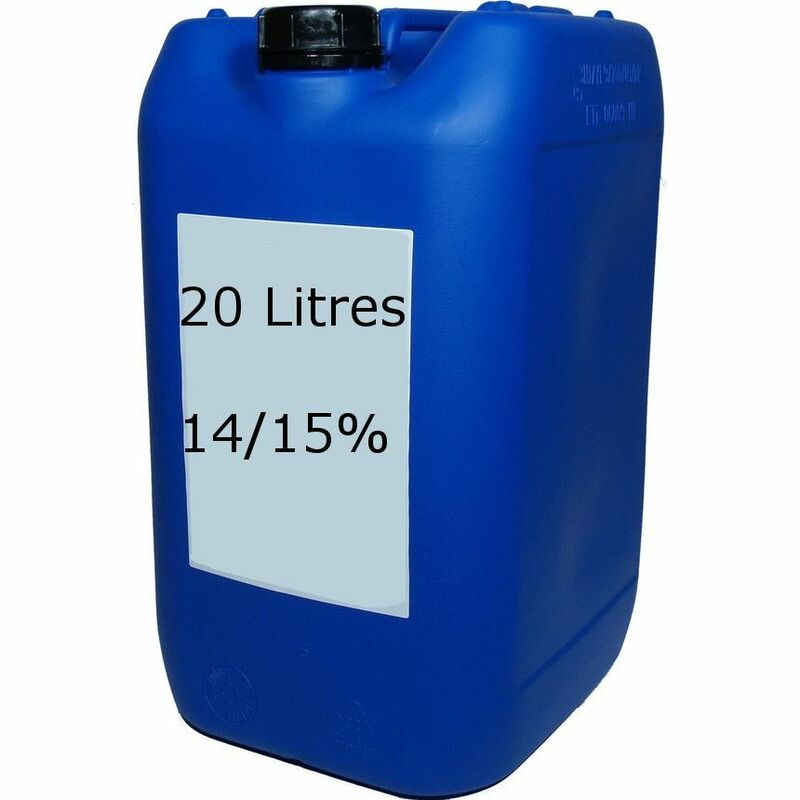 We can offer trade pricing to individuals looking to take a large quantity of liquid chlorine, (10+ containers), please contact us to enquire.